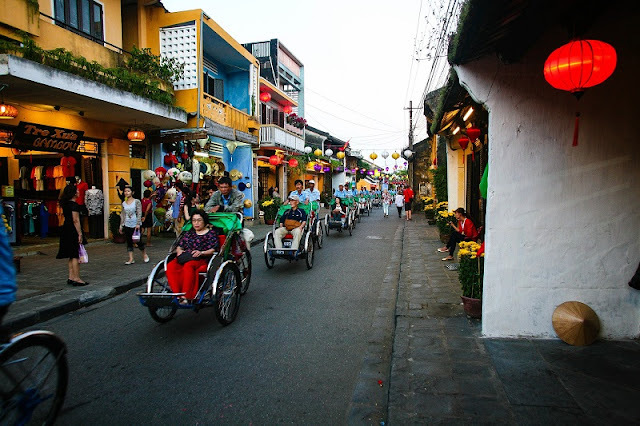 Home > Travel guide > Is Hoi An the Vietnam's new foodie capital? 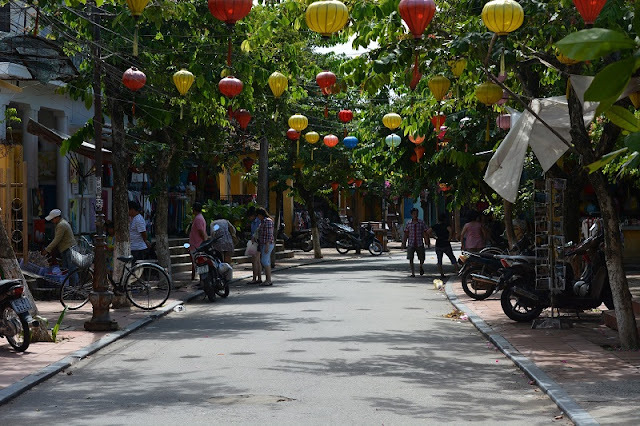 You could spend a year in Hoi An and still not sample every dish or visit every restaurant and makeshift stall. The whether you have three days or three weeks in the charming and historic town. Trust your instincts and your taste buds and it will be hard to go wrong in Hoi An. In Hoi An, it seems that every second restaurant offers some type of cooking class, so be sure to choose somewhere with a good reputation and professional operations. As well as learning about Vietnamese cuisine and how to prepare it, the best classes offer market tours, boat rides, garden walks and a multi-course sit-down meal at the end. You won’t take those neatly rolled and deceptively simple rice-paper rolls for granted ever again after trying to make them yourself! The local market is a fascinating place to walk around—just wear covered shoes for the fish section! It’s hard to imagine a more colourful place. Women in conical hats squat street-side with bamboo baskets overflowing with fresh vegetables and seafood, the staples of Vietnamese cuisine. More unusual sights include frogs tied together with their legs bound (not a vegetarian’s dream), and sea creatures so weird looking that you’ll be wondering what they are for days afterwards. If, like most tourists, you’re not self-catering, that doesn’t matter. As well as being a great place to just browse, the market has a food stall section, serving all kinds of local dishes. You can also buy special Vietnamese kitchenware and cooking implements to take home with you, such as the small coffee drip filters you will have seen with your morning coffee. High-class food is an absolute bargain in Vietnam, and especially so in Hoi An. Even a pricey three-course dinner with alcoholic drinks will likely cost you less than many mediocre lunches back home (if you come from a Western country). So don’t be afraid to splash out a bit while in Hoi An. Even travellers on an extreme budget will find that they can afford to treat themselves in Hoi An (dressing up in your brand new silk shirt from one of Hoi An’s hundreds of tailors is optional). Vietnamese coffee is special because of the way it is served through drip filters attached to individual cups. If you like it sweet, add condensed milk. Most coffee grown in Vietnam is of the Robusta variety, and comes from the Central Highlands (south of Hoi An). Hoi An has some lovely coffee and tea houses for a morning kick-start or an afternoon unwind. The Hoi An Roastery is a local chain with branches throughout the old town. It serves coffee Vietnamese or non-Vietnamese style, and also offers a selection of pastries and cakes. If tea is more your thing, the beautiful Reaching Out Teahouse is the perfect place to chill out in the peace and quiet. The teahouse employs servers with speech and hearing impediments, so signs on the tables ask you to please use gestures and point to the menu when ordering. It is set in an inviting old antique-filled house in the middle of the old town. After a short time in Vietnam you’ll realise that ‘Vietnamese cuisine’ is too broad a name and doesn’t encompass the north-south variety. Hoi An—situated roughly in the middle of Vietnam—has plenty of its own local specialties. White rose dumplings are one, known as banh bao in Vietnamese. Despite the name, they are steamed dumplings stuffed with minced shrimp, akin to a Chinese wonton or Tibetan momo, but much more delicate. They are served simply, with just a vinegary dressing and sliced spring onion. Cao lau is another Hoi An local specialty. These thick flat noodles are mixed with pork, sprouts, vegetables and crunchy croutons and served in a thick soup. Some of the best places to find local specialties are tiny one-dish stalls that are tucked away down back alleys and in corners. The best places are always busy with locals, so follow the crowds and eat as they do. Be prepared for your upcoming trip to Hoi An and bring it - a article guide to Hoi An cuisine. Good luck! !